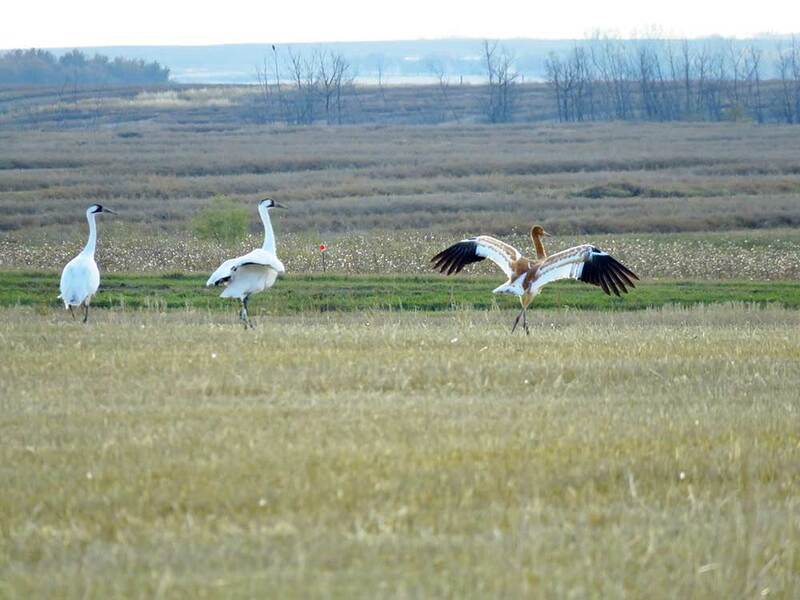 Whooping cranes are passing through Nebraska for their annual migration, and wildlife officials are helping them by releasing more water into the Platte River at Grand Island. 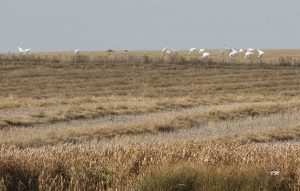 The release will provide and maintain adequate roosting and feeding habitat for whooping cranes on the Platte River, and is expected to continue through early to mid-November when the whooping cranes leave the region. The U.S. Fish and Wildlife Service plans to release water from their Environmental Account beginning on Oct. 19. 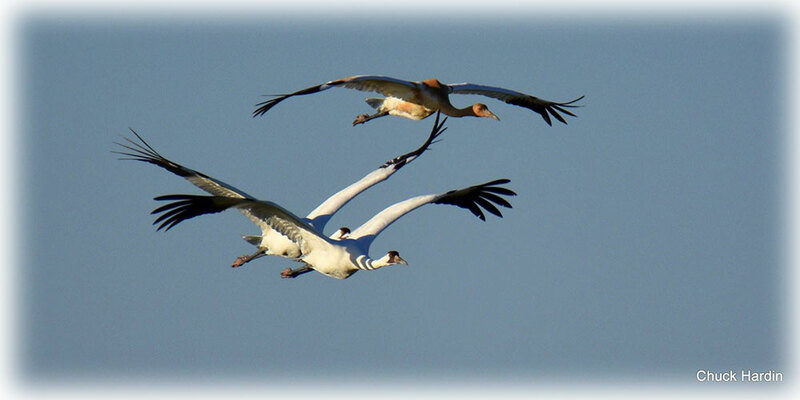 The cranes use the Platte River in Nebraska as a stopover site during their migration in the Central Flyway south to Aransas National Wildlife Refuge, Texas for the winter. Brian Johns, Ret. 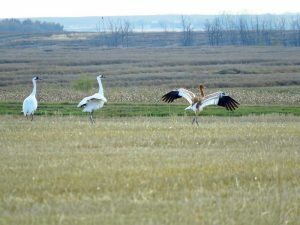 Canadian Wildlife Service, had heard reports of birders seeing groups of whooping cranes numbering just over 100 or more, gathering on their staging grounds in Saskatchewan, Canada. So Wednesday morning, he decided to grab his camera, hop in his vehicle and go look for whoopers. As luck would have it, he would not to be disappointed. 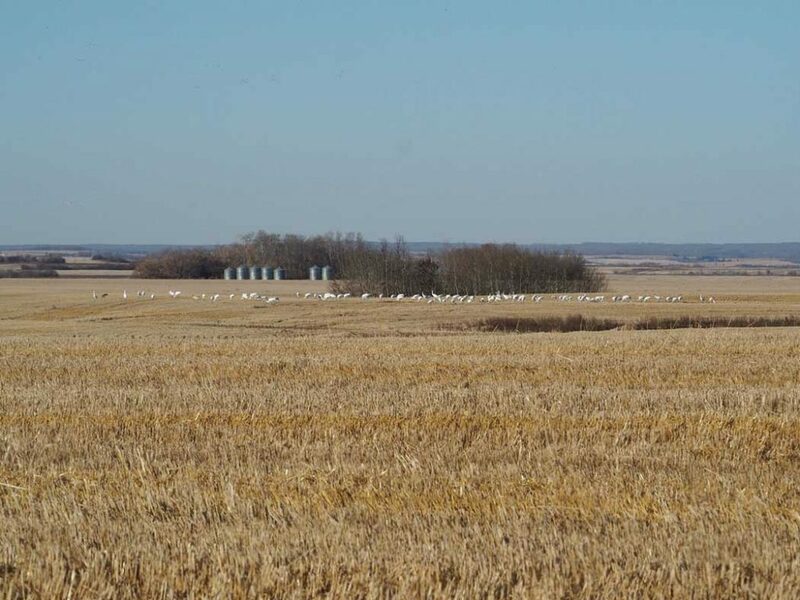 Brian was able to see 151 whooping cranes in this one field and captured the moment in the photo below. 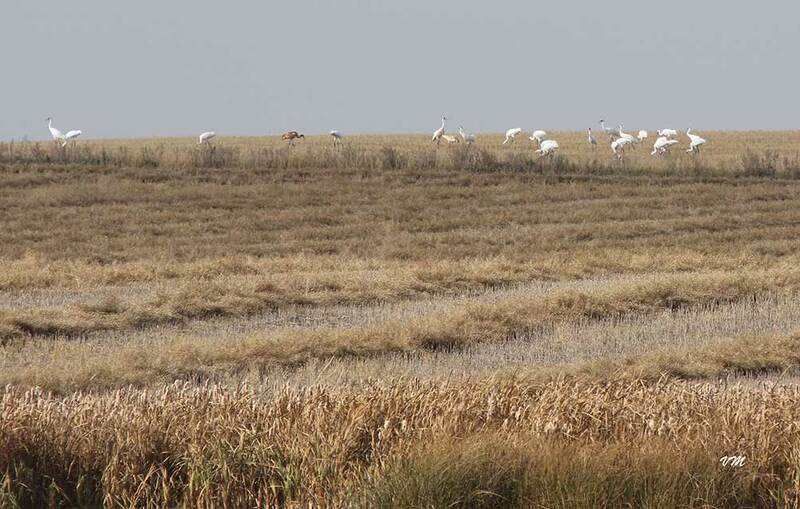 The group of cranes was so spread out in the field that the photo only shows a little more than 100 of the cranes in the photo. 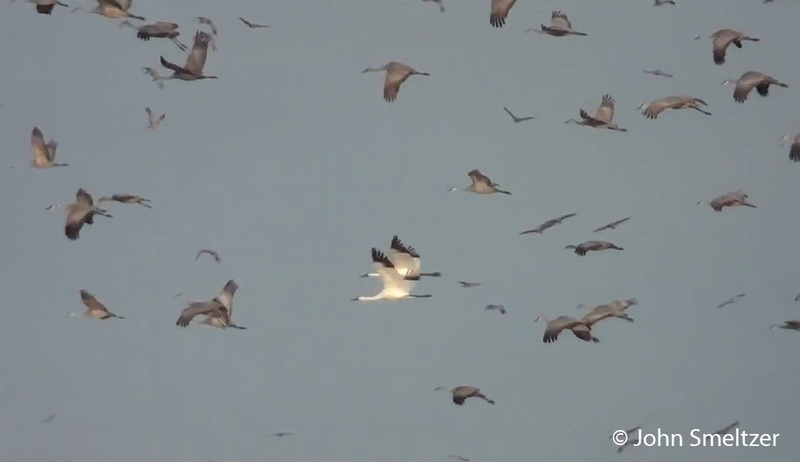 Can you imagine seeing 151 whooping cranes in one field? That is nearly 30% of the entire wild flock!